NASA released a fantastic photo this past week depicting the Earth as a pale blue dot through the rings of Saturn. The photo was taken by the Cassini space probe that is in orbit studying the giant gas planet and it’s moons. This picture brings to mind other humbling NASA shots like the photos of the Earth and the moon together taken by numerous spacecraft(here, here and here) and the ‘family portrait’ of the Earth and the other planets in our solar system from Voyager as it left our solar system in 1990. Everything that we know and all the history of humanity and life as we know it has originated from that tiny grouping of pixels. 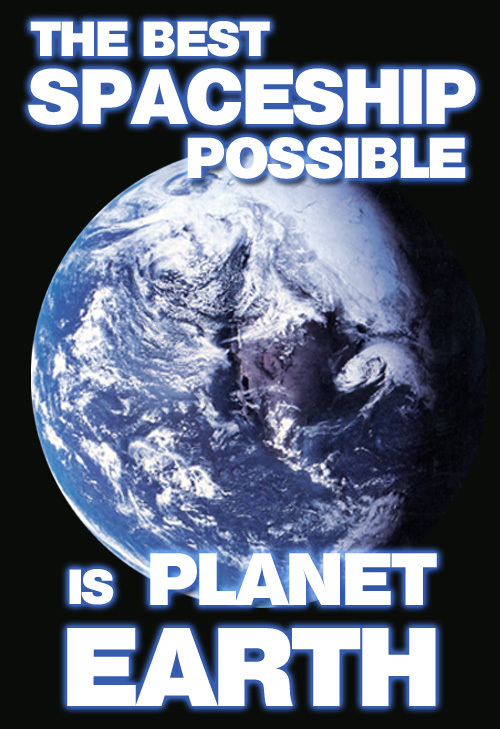 Clone stamp it in Photoshop and suddenly, no Earth exists. However, the rest of the Universe keeps going even if we humans and our mythologies and religions disappear. Just think of how advanced our civilization would be if all children started learning about astronomy instead of religion in grade school. 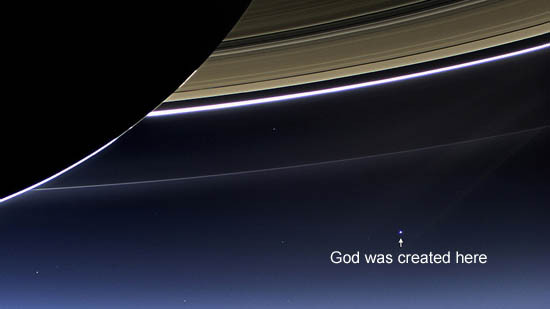 The Cassini spacecraft orbiting Saturn sends a reality check to all religious people on the pale blue dot called Earth.